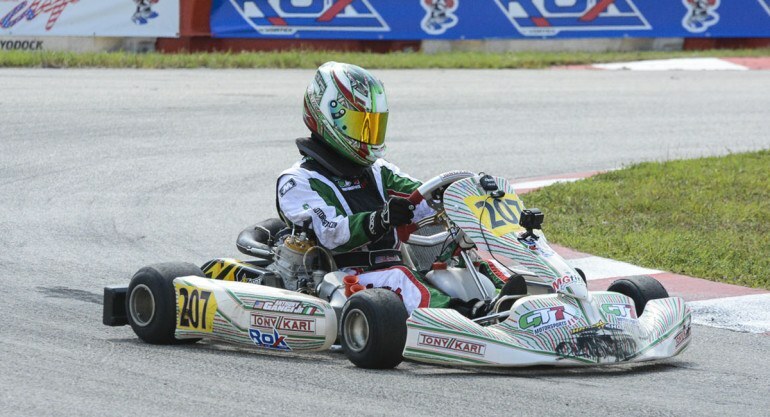 August 12, 2015 — The ROK Cup USA series is just over the half-way point in its current season as it heads into Round 4 this weekend at the 103rd Street track in Jacksonville, Florida. With official practice beginning on Friday here’s a look at the current standings in the championship and what we can expect when the series hits the track this weekend. In the Micro ROK category, the 1-2-3 combo of Benik drivers Lucas Rodriguez and James Egozi and Team Felon’s Jeremy Fletcher have dominated the podium nearly all season. The three American drivers will be on the radar this weekend as we watch and see if they can conquer the podium for yet another round. Not far behind in the points are Italian driver Elio Giovane and Venezuelan driver Santiago Trisini, so either of them could jump in and shake things up with a win. In Mini ROK, Venezuelan Allessandro Famularo has the points lead over Benik driver Lachlan DeFrancesco, but DeFrancesco has won the last two rounds and will certainly be gunning for a win this weekend as well. But both will have to hold off Anthony Famularo, who’s also strong in the points game. Reece Gold, who had a difficult Round 3, is still a contender but he’ll need to really bring it this weekend. The Junior ROK category has been dominated by Anthony Gangi Jr. So far he’s taken the top podium spot in all three rounds, so expect to see him at the front again this weekend in Jacksonville. Brazilian Enzo Fittipaldi and American Tyler Gonzalez are just behind him in the points, but Mathias Ramirez, who missed Round 3 and is currently 5th in points, is back for Round 4 and surely looking to make up for the lost round. In Senior ROK, the competition is close with Morgan Healey, Austin Jordan, and Dustin Stross all in the running. 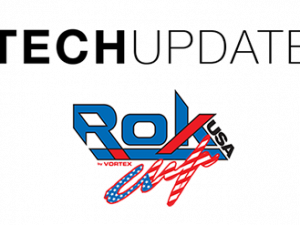 Someone we’ll be keeping an eye on is Ryan Norberg, who will hopefully keep the momentum going coming off his win at the last round of USPKS. AJ Myers is making his return to the ROK Cup USA series in Round 4, and while he’s not in the points game, it will be interesting to see how he can shake up the field this weekend. 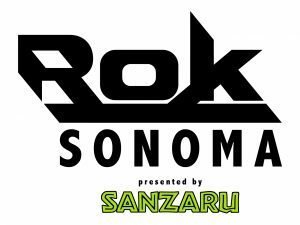 You can follow Round 4 of the ROK Cup USA series on Race Monitor for live timing and results, and also their Facebook, Instagram, and Twitter @ROKCupUSA.